Being a huge fan of the 'Pirates of the Caribbean' franchise, I could not wait to watch 'The Lone Ranger'. Brought to you by the same talented team, producer Jerry Bruckheimer and director Gorel Verbinski, this is the long awaited rebirth of the famed masked hero. One without superhero powers but the determination to fight against greed and corruption. 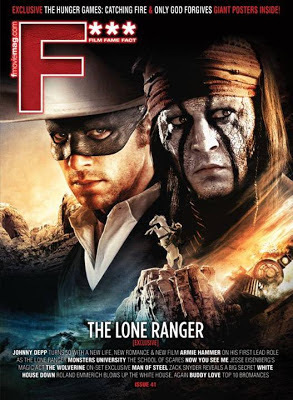 The Lone Ranger is a thrilling adventure infused with action and humor that's delivered excellently by the one and only Johnny Depp and Armie Hammer. I must say they did a great job with the build up of Armie's character 'John Reid'. From a respectable man of the law into a famed masked hero that wants nothing but justice. Johnny's character “Tonto” the Native American warrior is absolutely hilarious! Tonto is silly, witty and plain out funny. Besides Johnny and Armie, The Long Ranger also stars Tom Wilkinson a greedy old cow, William Fichtner as the bad guy you just wanna kick, Barry Pepper as a cavalry captain, James Badge Dale as John's brother, Ruth Wilson and Helena Bonham Carter as a hot one legged brothel owner. I personally enjoyed this movie. Disney always does a fantastic job with costumes and props. Thankfully they did the same with The Lone Ranger. You will be transported back to the era where cowboys and native Americans ruled! Oh yeah, I loved the tasteful twist in the plot too. I don't want to spoil the movie for any of you so go watch it! 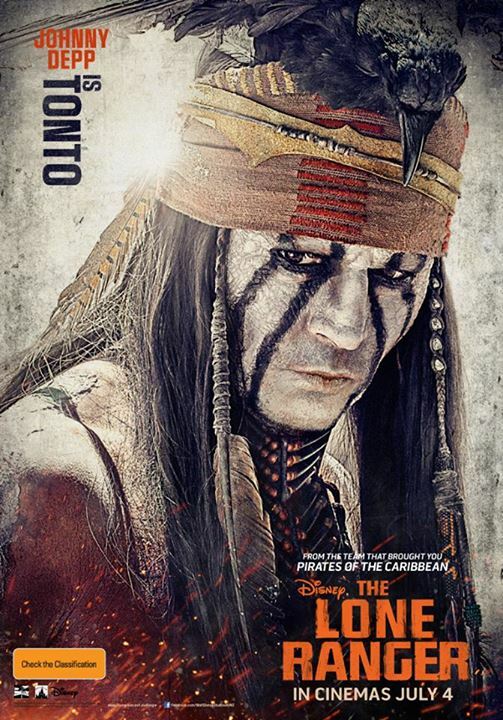 The Lone Ranger is now showing in theaters islandwide!!! Like Disney Studios Singapore official Facebook page http://facebook.com/disneystudiosSG and official Twitter account http://twitter.com/disneystudiosSG for updates and contests. There is an official YouTube channel as well where you can watch your favourite Disney shows and movie trailers like the one below. Here is the link to the channel: http://youtube.com/disneystudiosSG.